Pat O'Brien has checked into rehab AGAIN. This will be Pat O'Brien's FOURTH stint in rehab. Remember the drunken leaked voicemails where O'Brien was talking about his love of cocaine and hookers? Listen to the definitely NSFW audio if you missed it. Pat O'Brien got engaged to his girlfriend Betsy Stephens to do damage control on his image but it didn't work. The Insider co-host Pat O'Brien has returned to rehab in a fresh bid to battle his addiction to alcohol. The entertainment host "has entered a rehabilitation facility for treatment," according to a statement posted on the Insider's Web site. "O'Brien and his doctors felt this is the best course for maintaining his sobriety." O'Brien first entered a rehab program in 2005. He said at the time: "I have had a problem with alcohol. Overcoming this problem is a top priority in my life." After completing a 40-day program, O'Brien told told America's People magazine: "When you hit the bottom with this disease, it's a real bottom, like being in a grave that hasn't been covered yet." TV host Pat O'Brien has reportedly checked into rehab for the second time this year in a bid to kick his alcohol addictions. According to chubbyandgay.com, the 60-year-old is seeking help at an undisclosed location; just days after he was fired as co-presenter of celebrity news show The Insider last week. If the reports are true, it will be O'Brien's third attempt at rehab - he previously sought treatment in March 2005, and again earlier this year. PAT O'BRIEN CHECKED INTO REHAB FIRED FROM THE INSIDER & DONNY OSMOND IN AS NEW HOST ON THE INSIDER? The Insider host Pat O'Brien checked into rehab again and was expected to return to work. In a prepared statement, the syndicated entertainment news magazine show said, "O'Brien and his doctors felt this is the best course for maintaining his sobriety." 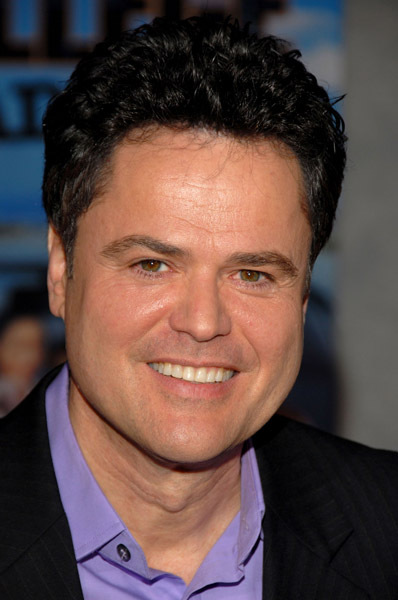 However, now Page Six is reporting that the former Entertainment Tonight and Access Hollywood correspondent has been fired and his temporary replacement former child star Donny Osmond will be taking over on the show. Pat O'Brien had a previous stint in rehab in 2005 when drunken sexually explicit voicemail messages surfaced online. The Insider host confessed to having a substance abuse problem and taped a confessional interview with Dr. Phil before returning to his hosting duties on the Insider. CLICK HERE TO WATCH PAT O'BRIEN ANIMATION OF HIS VOICEMAIL SCANDAL. WARNING EXPLICIT MATURE CONTENT.